We’re changing the game on cyber-racism. 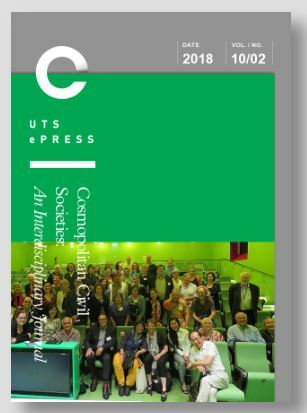 A journal article published today in “Cosmopolitan Civil Societies: An Interdisciplinary Journal” by our CEO, Dr Andre Oboler, and Karen Connelly introduces the new version of OHPI’s reporting tool and the broader picture of how it can integrate and empower both individuals and organisations across the community. The journal is published “open access” which means the articles it includes can be freely downloaded. This article can be downloaded as a PDF here. The Cyber-Racism and Community Resilience (CRaCR) project included an examination into features of online communities of resistance and solidarity. This work formed a key part of the project’s focus on resilience and produced a deeper understanding of a range of types of actors working in this space and how they might individually contribute effectively to creating resilience. The need for new synergies between different types of stakeholders and approaches was highlighted as an area for future work. This paper explores a design for that future work that builds and supports online communities of resistance and solidarity by drawing on and extending the lessons from the CRaCR research. This new work both presents a model for cooperation and explains how different stakeholders can positively engage under the model in a SMARTER way. That is, through a system which facilitates Solidarity in Moving Against Racism Together while Enabling Resilience. This new approach draws on the strengths of individuals actors, but also seeks to turn points of weakness for one actor into opportunities for cooperation that strengthen the system as a whole. Cyber racism includes both the reproduction of everyday racism by individuals on the Internet and the exploitation of the Internet by racist groups (Jakubowicz 2012, Daniels 2012, Tynes, Rose & Markoe 2013). Individuals and groups are emboldened by the openness and lack of consequences of the Internet, while racist groups use it to consolidate their identity and popularise their ideology by recruiting supporters and building online communities (Bliuc, Faulkner & Jakubowicz 2016). Racist online communities engage in activities that aim to fragment targeted communities’ online presence, hindering the targets ability to develop effective communities of resistance and solidarity. With the growing problem of online racism, and a general lack of technological expertise by those actors traditionally relied upon to tackle racism, new actors have emerged. These new actors have created innovative approaches, reactions, responses and initiatives that are specifically focused on the problem of online racism and tackle it with digitally native responses. The Online Hate Prevention Institute (OHPI) and IndigenousX are two examples. These new kinds of actors can work collaboratively within formal structures, or may be driven by grassroots activists working outside the traditional structures. New technologies enable their approaches, which are centred around online communities. These communities can be stable and long lasting, or ad hoc communities formed through existing online networks where people gather for a short and focused campaign and then disperse. Past work has looked at the different approaches used, and their strengths and weaknesses, across both the traditional approaches by government agencies, local governments, community service providers, and community peak bodies, and the new approaches by natively digital civil society organisations and grassroots groups (Jakubowicz et al. 2017). To be more effective, online communities of resistance and solidarity need to bring together both the flexibility and energy of the new organisations and grassroots groups and the formal authority that comes from the endorsement and support of governments and peak community representative bodies. A synergy is needed to bring together diverse stakeholders with approaches that build on their different strengths. New policy responses are needed to facilitate this synergy in order to create more effective online communities of resistance to cyber racism and greater solidarity in the face of cyber racism. Bringing together the idea of sources and amplifiers and the strengths and weaknesses of different types of actors we can produce a model of a system for improved cooperation that better facilitates effective communities of resilience and solidarity against cyber-racism. This model is based on the idea of acting in a SMARTER way, that is, through Solidarity in Moving Against Racism Together while Enabling Resilience. This approach builds on the strengths of individuals actors, while using cooperation to turn individual actor’s points of weakness into opportunities for cooperation that strengthen the system as a whole. It builds on the idea, previously demonstrated in the academic research context, that actors are most likely to engage in new processes and use new tools where they see a clear and relatively immediate benefit for themselves and on the idea that models enabling systematic reflection can facilitate this (Oboler et al. 2006). In the integrated system, an individual’s reports of cyber-racism can be shared with a trusted Grassroots Group who may then pass it on to an Affiliated Civil Society Organisation, or alternatively the individual may share it directly with an Affiliated Civil Society Organisation themselves. Resilience at the personal level is enhanced when the individual has others they can trust and a support system so they can avoid dealing with an incident alone (Hunter and Chandler 1999). 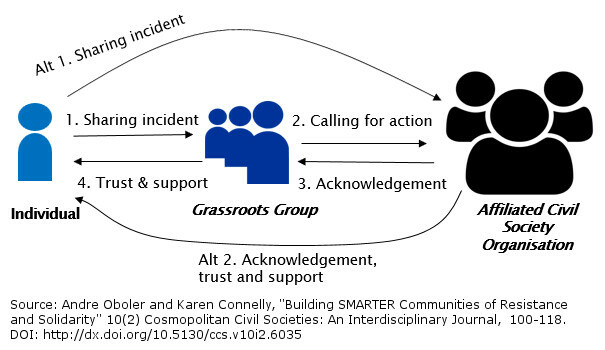 The sharing of an incident with a trusted group, whether a Grassroots Group or an Affiliated Civil Society Organisation, provides the network of trust and a support system that can help the individual increase their resilience. When Grassroots Groups approach an Affiliated Civil Society Organisation, it demonstrates broader interest and becomes a collective call for action. By acknowledging the concern and engaging, the Affiliated Civil Society Organisation becomes part of the support system for the individual and the Grassroots Group as they take the matter forward. In the alternative path where a victim themselves approaches an Affiliated Civil Society Organisation, there is an alternative response where the organisation provides acknowledgement, but also trust and support directly to the individual. 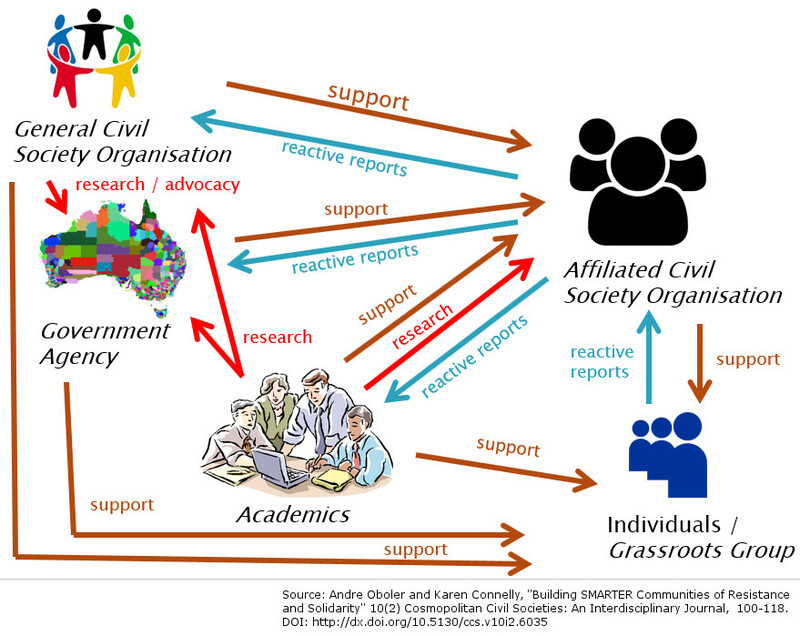 To fulfil their part, Affiliated Civil Society Organisations can either use the information received themselves, or they can pass it on to others who are able to make use of it. These others might be other Affiliated Civil Society Organisations, General Civil Society Organisations, Government Agencies or Academic Researchers. When other actors accept the information, there is an expectation that it will be used to tackle cyber-racism in some way, even if the response does not affect this specific incident. This creates a flow of support back to the Affiliated Civil Society Organisation which strengthens that organisation’s resilience by shifting them from a victim to an empowered enabler of positive action. That positive action may include research by others, based on the data they provided, and the results of that research may flow back to the Affiliated Civil Society Organisation to help them further strengthen the resilience of their community by guiding them to new policies, projects or campaigns. One problem with this integrated system is that the volume of cyber-racism data is large and neither Affiliated Civil Society Organisations nor the other actors have the capacity to process a constant flow of individual reports. This problem, however, can be solved with custom technology that maintains the relationships in the system, but automates the collection of data using crowd sourcing and the sharing of data among stakeholders. To overcome the vast amount of work involved in crowd sourcing reports of online hate from the public, a reporting system known as Fight Against Hate was developed by the Online Hate Prevention Institute (Oboler and Connelly 2014). This software was described in two UNESCO reports as one of the new innovative ways to tackle cyber-racism (Gargliardone et al. 2015; Bar et al. 2015). The software has since been adapted to support the SMARTER approach. The new software, Fight Against Hate Version 2, still allows the public to report cyber-racist content found on social media platforms and to categorise what they report based on what kind of hate it is. Users can still see the history of their reports. The new version, however, differs in three significant ways. The changes support the SMARTER approach through the development of the new concept of a reporting gateway. Participating organisations can now embed a reporting gateway, which is a simplified version of the Fight Against Hate reporting tool, directly within their own website. 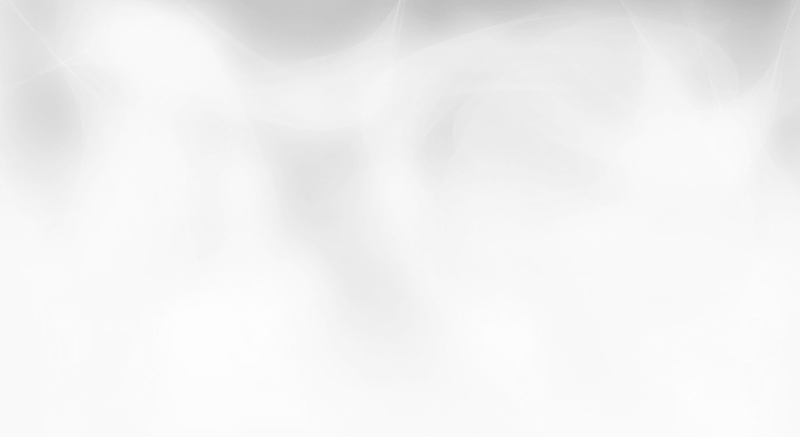 This works in a similar way to the embedding of a YouTube video on their site. 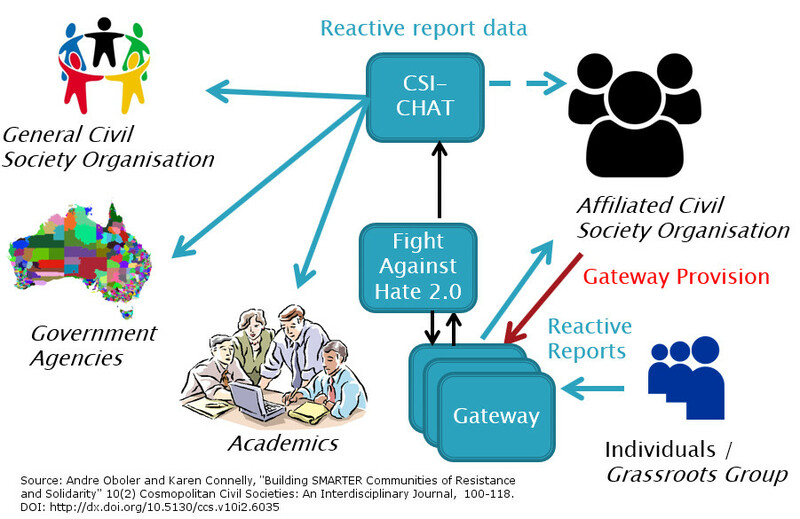 The software and data still live on the Online Hate Prevention Institute’s servers, but community members can report to it directly from the Affiliated Civil Society Organisation’s website. The organisation can also see all the content reported via their site, along with the total number of items reported via their site and a graphical breakdown of the types of hate reported. This empowers the Affiliated Civil Society Organisation giving them access to see what has been reported without the need to individually handle each report. Each gateway is unique. It knows which organisation it belongs to and can be configured according to their needs. This allows the organisation to select the types of hate their community members may wish to report. It also allows different gateways to be configured to appear in different languages. Some organisation may wish to have multiple gateways configured for different types of hate or to enable reporting in different languages. Fight Against Hate Version 2 also integrates with the CSI-CHAT (Crowd Sourced Intelligence – Cyber Hate and Threats) analysis tool. Organisations with access to the tool can now see either any item reported into a public pool of content via any gateway, or their view may be restricted to data from certain gateways they have been granted access to. Affiliated Civil Society Organisations can choose for all their reports to enter the public pool of data, or they can choose to keep the data to themselves and only grant access by arrangement. This allows a peak community body, for example, to have access to the reported items of all of their affiliates even if the data is not part of the public pool. Where the data is public, organisations using CSI-CHAT can still filter the data to only show a subset based on gateways they are associated with. CSI-CHAT can provide not only Affiliated Civil Society Organisations but also Government Agencies, Academics and General Civil Society Organisations access to the data on reported content. By automating the process, an individual’s report, made to an Affiliated Civil Society Organisation, can immediately be available to a range of stakeholders who can make use of it. The Affiliated Civil Society Organisation continues to play a vital role, but the collaboration is setup in advance, mediated through the software and does not require action each time an incident occurs. The automated collaboration can provide a basis for further work, based on analysis of the reported data, in which different actors can move against racism together. The more effectively reports from the public are handled, and the more impact reporting is seen to have, the greater the boost to resilience across society as a whole. Being empowered and part of an impactful response can turn the experience of encountering racism from a blow to resilience into a boot to resilience. The new Fight Against Hate Version 2 software facilitates real time access to data by a range of stakeholders and empowers Affiliated Civil Society Organisations by giving them a new capability for their community which require minimal setup and no significant ongoing work by staff, though reviewing and being aware of what has been reported is certainly recommended. Not shown in Figure 3 is a secondary connection in which individuals who experiences online hate may contact an Affiliated Civil Society Organisation directly and receive counselling or other support. In some cases a victim may share content directly with the Affiliated Civil Society Organisation outside the system, for example over e-mail. The Affiliated Civil Society Organisation may report this content to the system on a person’s behalf, or may assist the person by walking them through the process. As a user reports multiple incidents, the function of reporting, which is focused on gathering data, can be separated from the function of supporting the individual. This allows the provided support to be driven by the individual’s needs, rather than by the occurrence of incidents which may at times seem like an unending barrage of abuse. As the Fight Against Hate Version 2 reporting tool allows the individual to view a record of what they have previously reported, including screen captures and comments they may have added, the need to immediately see someone and discuss the incident while the content remains online is removed. This reduces the sense of crisis, enhancing the individual’s resilience. It can also reduce the demand for urgent attention from Affiliated Civil Society Organisations on each additional incident, relieving pressure on their staff and increasing the organisations resilience.